Welcome to Carnival 2017 as we levitate ourselves by creating elegant solutions to resolve our myriad challenges. In context, Laventille is the epicentre of the Steelpan, national musical instrument of Trinidad & Tobago. From foot to summit, its sound emanates and resonates nationwide. 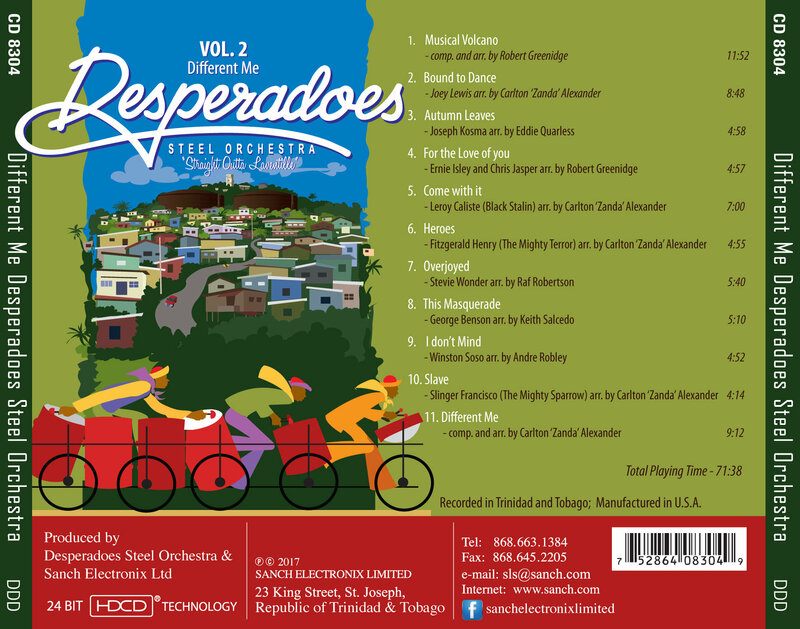 Desperadoes Steel Orchestra (Despers) came into being in the early 1940s at the summit of Laventille. Over the years through its various states and sponsors, the band brought tremendous pride to ‘the Hill’ and music to the world. There was a time when it was commonplace for folks to trek that Hill on two occasions annually – first to indulge in Despers’ Carnival music by night, the other being afternoon Lenten celebrations at the R.C. Church. But alas, Laventille has degenerated into one of the ‘hot spots’ for nefarious activity. Today, there is a determined resolve to initiate a resurgence, to restore community pride and performance. The work starts immediately, spearheaded by the return of Despers to its natural habitat after an absence of almost a decade. Some infrastructural work is required to accommodate the band and provide adequate space for a youth development programme. Despers seeks to raise Four Million, Eight Hundred Thousand dollars (TT$4,800,000) over the next two years to finance those works. Management will fulfill its mission by leveraging the impregnable Desperadoes brand and its formidable repertoire. 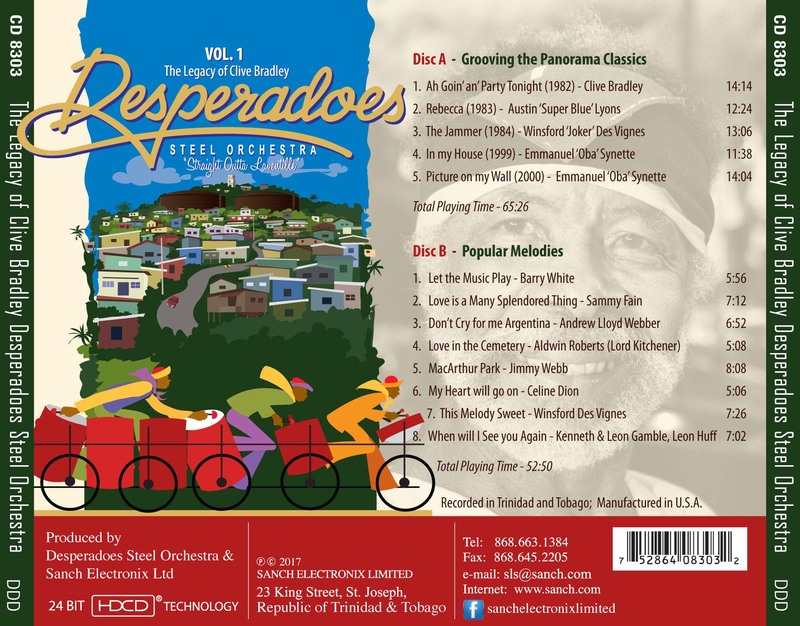 In this regard, a double HDCD, ‘Straight Outta Laventille – The Legacy of Clive Bradley’ and a single entitled ‘Different Me’ produced by Despers and Sanch Electronix are now available. For further details, you may kindly contact Despers’ manager, Curtis Edwards at 868.686.8200/panologytt@yahoo.com or Sanch Electronix. This is the first of a series of artifacts produced in quest of its goal for the social regentrification of the Laventille community, spearheaded by vespers and Despers. Thank you once again for your kind support.